Snow is everywhere. I have not seen anything but white color, since I left the camp. All my clothes are covered with a layer of snow and the wind blows over my head, bringing a new flood of white. I must keep my eyes closed, because as soon as I open them, they just start to hurt me. I am afraid, that I got some inflammation from this ubiquitous brightness. But when I’m so close to the top, I can not go back empty-handed. Hold on just for a few more hours..
You thought, that because you handled K2 climb in the past, there is nothing to surprise you? Imagine if someone told you, that your whole past adventure was actually just a stroll. Everything you had gone through is actually easy compared to K3, which is the twelfth highest mountain in the world, but its long ridge is a daunting place to be on! 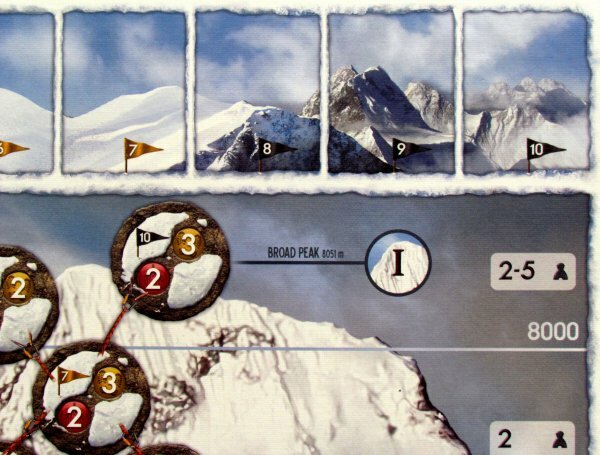 And that’s, what Adam Kałuża told to himself in 2011, when he published expansion of his famous game K2 (review), subtitled Broad Peak. The publisher still remains a Polish REBEL.pl and illustrations of Jacek Nocoń are still here to give the game correctly snowy and cold atmosphere. Compared with the original game, this is a significantly smaller box, which brings a lot for its small size . 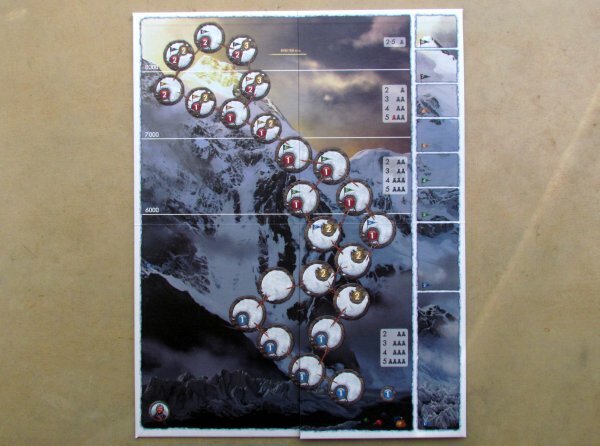 The most important is the new double-sided game board, but this offer is not limited to peaceful and angry version of the same mountain. Instead, you’ll get two entirely different challenges. 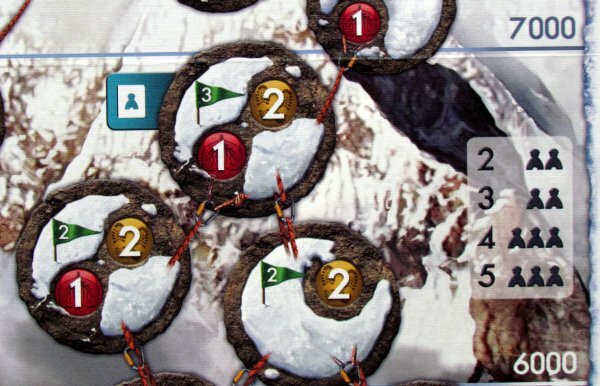 Details in the form of two scenarios are revealed in short rules, which are a little different for each of them to reflect different conditions out there. Packaging continues only with a few tokens. 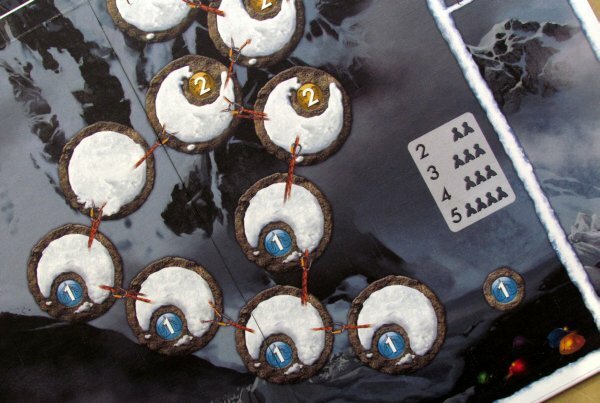 There are caves in the snow, twenty square transition tokens and also necessary circles with flags needed to win. 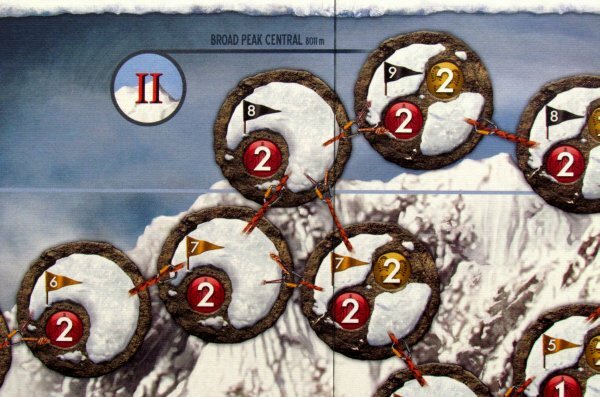 These tokens with flag are wearing victory points number gathered for achieving each of the three top on this really wide and treacherous mountain. We recommend to open a window in the evening, when you will be exploring this game, so temperature drops and lets you near freezing point. You’ll feel at least a little like on the slope of some mountain. And what is actually going on in this game? 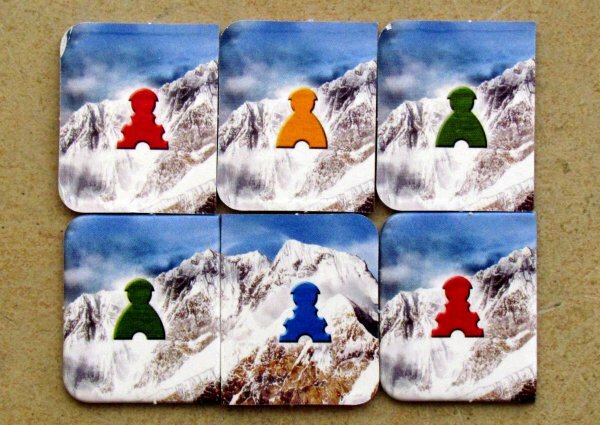 With the help of movement card and acclimatization in your hands, you ascend the mountain with your two climbers. Many spaces need further points to enter and especially with increasing height, demands on acclimatization are rising. Players keep track of all their gaming on small boards with two scales. You can also place a tent, that will improve the situation a bit and give you shelter for bad weather. The highest point is marked in the height column with indicator and player, who will reach highest point, will eventually become winner of the game. If he survives. 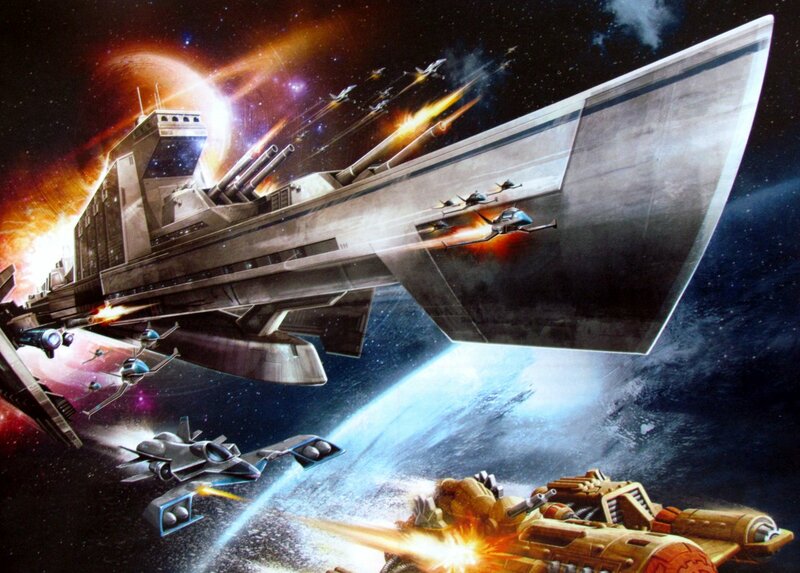 So this is gaming system of K2 in a nutshell. But most of you is probably familiar with it anyway. And now we sequentially look at all the new things in the box and evaluate their impact on the game itself. But this assumes, that we must talk about each of the scenarios separately. The first task is Race to the top. When climbing, you can not take a tent with you this time and instead you can build a snow cave to hide your body. Such a place is marked with a token and it functions basically like a tent. Gives you one acclimatization point per turn. But the snow will soon fill this cave, so it lasts only for two days (two positions on the weather scale), but even then a marker remains there with second side up. You can later fix it (turn the chip back up), but you must pay movement point again to do so. 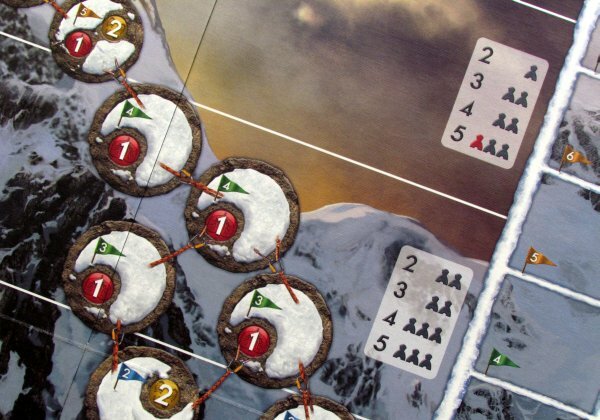 Race to the top of K2 brings classical gameplay, including two parallel paths to the top. Your most important weapon is speed, because you have no support team on your back, just like Krzysztof Wielicki. He humbled the mountain as the first in alpine style and you will go in his footsteps. You’ll find his interesting story on the back of the rules. Most important in this scenario is time. Because it is a really fast climb, you can not hesitate. Author simulated this by reducing time, that entire game gets significantly shorter. 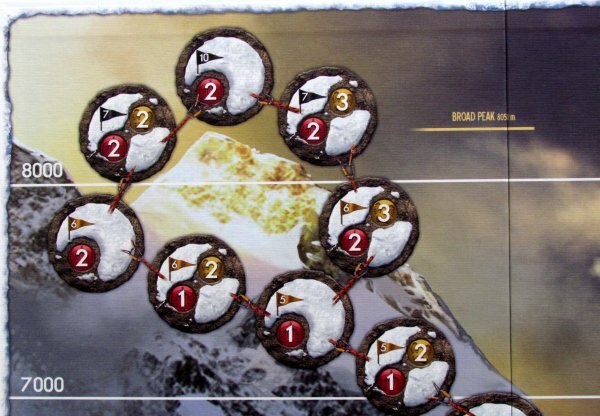 At the same time, players lose some of their stronger acclimatization cards, because there is not place for relaxing in this adrenaline climb. People make errors under pressure and this applies even to players. Each has team of two men, who have to honestly help each other and keep an eye on the opponent’s men. The most important thing is still a huge lack of acclimatization. All together this scenario guarantees, you will feel like in a real race to the peak. 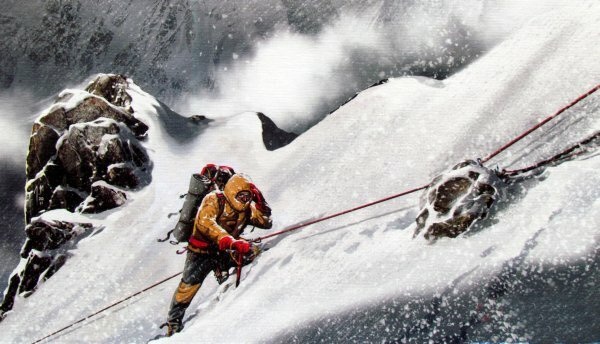 But the main reason, why this expansion even was created is not only to pay tribute to the Polish climbers, but also out of respect for Broad Peak. He was first conquered in the same year as Wielicki undertook his ascend. The year is 1984 and transition was completed by Wojciech Kurtyka a Jerzy Kukuczka and got their names in history. This mountain has three peaks and you try to conquer them all, preferably with both your climbers. 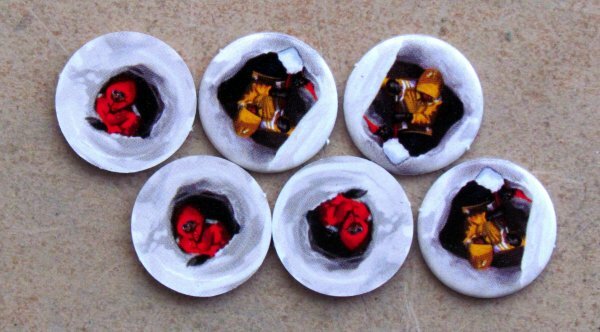 For achieving flags, you will be rewarded in the form of tokens. Their value depends on the order, in which you arrive there – first conqueror gets the most points, the second less and third gets only one point. In addition, you put also two transition cards near the board, which can be obtained in the course of the game and turn into more points. 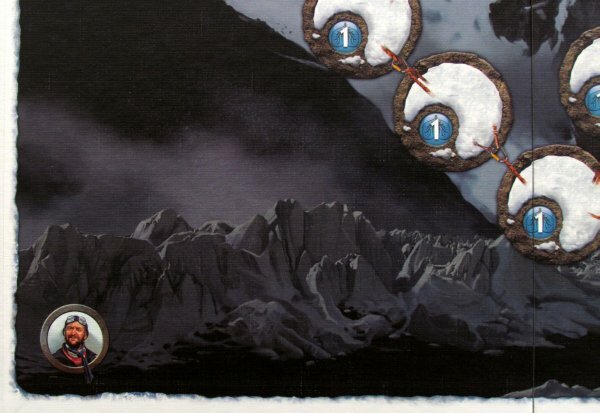 Players can choose for their men, whether they like to enter from left or right side of the mountain. Accordingly to their choice, they will then move along the edge either from left to right or vice versa. For reaching the top of the mountain, climber will be bearing flag with highest value available, which they keep. Additionally, if you succeed in passing through extreme position of map marked with green figures, your team get already mentioned transition card, that will increase value of acquired flags.This time, speed does not matter. Its all about planning. The first thing you’ll notice is, that the map has really a lot of space on it. This gives players more rest for the planning, because brave men are split in half and they do not bump at each other, like in other maps. And this prudence is necessary, because peace is balanced by more options, how you can try to climb this elongated monster. Extraction of the highest ranks this time requires right strategy from the beginning. You have to think twice, which way you start moving. There is no turning back later. You have to be careful, because the reward points will be low, if you get as the last to the top. Some trips are quicker, but dangerous and it depends, whether you will take the risk or not. Each summit will reward the most, whoever gets there first. This is the greatest motivation and innovation, that makes this scenario an unique experience. 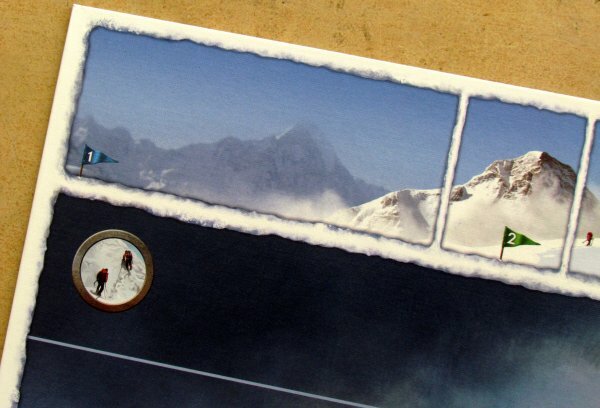 Players try with each of the men to reach more summits and edges and also to get bonus cards. It all makes this expansion to really stand up and brings true mountaineering experience. K2: Broad Peak gives us a new perspective on the climbers and makes it even scarier and more challenging, than you could ever imagine. But it will be difficult even for you as players, because each side of the board offers something different and new. It’s something entirely different, than we had in the original box. Each mountain has its own story. 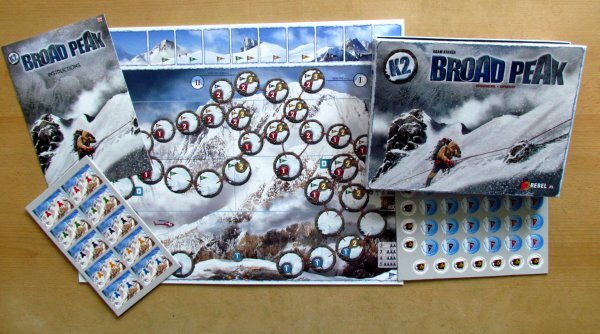 Write yours now..
Broad Peak is a twelfth highest mountain, which can you now defeat, thanks to excellent expansion of K2 board game. But those important things stay the same and maintain everything, why the base game was so much fun. Moreover, this expansion is pretty more difficult and adds need to traverse, bringing you even more points. It offers two maps, each of them quite diferent and pays a tribute to polish mountaineers. K2: Broad Peak expansion is excellent addition, which should be part of collection of every K2 fan.